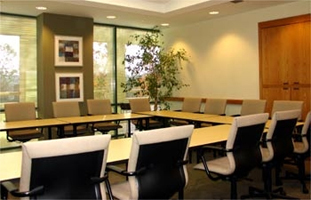 Situated in the heart of Orange County in Rancho Santa Margarita, our Rancho Santa Margarita Court Reporting Center offers panoramic views of Saddleback Mountain and the rolling hills of Rancho Santa Margarita. Coto de Caza, Dove Canyon, Trabuco Canyon, Las Flores, Ladera Ranch, Foothill Ranch, Robinson Ranch, Lake Forest and Mission Viejo are all in close proximity to the center. With immediate access to the 241 Toll Road, John Wayne Airport is minutes away. Our location offers free parking and quick access to numerous hotels, restaurants and shopping.